“The Doodle Spot” is one of our new initiatives for 2016. Can’t wait to explore and showcase our “Groovy Hidden Treasures” in Charleston SC. Even though I’ve been visiting here for decades – living here is a totally different experience. The Doodle Spot has it’s own tab on our homepage so you can always visit there if you think you’ve missed a month. Our first hidden treasure will post on Monday, January 18th. Very cool, have fun on your adventures. Can’t wait to read and see your town. Thanks, I’m hoping you (and everyone) will enjoy our hidden treasures. Poogan ( my 3 year old goldendoodle) and I love living in and exploring Charleston. I can’t wait to see what extra spots we can travel to together!! We do something similar in the warmer months, where we explore all the beautiful spots in our area. We didn’t make it a feature though, maybe we should. I can’t wait to see all the Doodle spots you visit! You should. I too love to read about many of the states/regions that I’ve yet to visit. Makes me feel like I’m there. I chuckled at your story about your parents! Sounds like they may have needed a summer home here in Chas so that they could have the best of both worlds. Sounds like so much fun, can’t wait! Wish we live in a more dog-friendly town! I’m so happy to hear all the excitement The Doodle Spot and Charleston seem to be attracting! This is going to be a really fun series! Have a great week! I love Charleston! Can’t wait to see what you find! 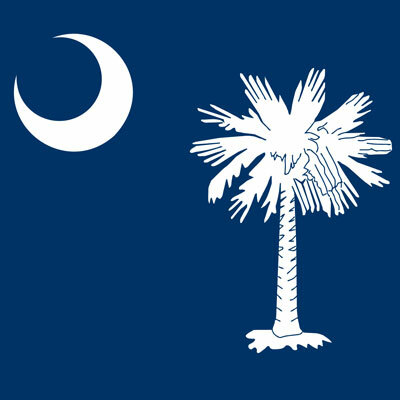 Thanks Earl – hope you will enjoy spending a little time with us in Chas each month! Have fun. One of the few things Mom misses about living in Germany is the dog friendliness. We could go almost everywhere over there, but here, almost nowhere. Love your signature, by the way! When we lived in Germany Emma, we didn’t have dogs, but I remember how cool it was for dog people to bring their furry family members along with them. That sounds like it will be a fun place to visit! I can’t wait to see your photos. 🙂 We don’t have any of those super cool pet-loving sorts of places here in Michigan. I love the photo of Harley and Jackson! It looks like they are having a great time. 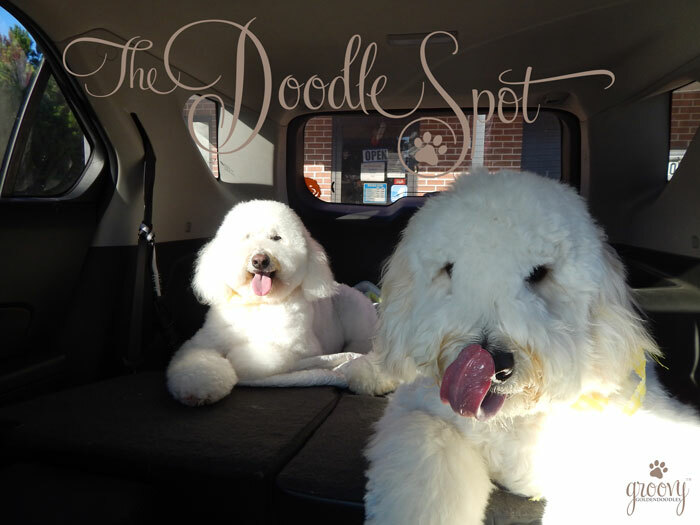 They love to ride in the car – I could be going to the gas station and they’re wearing a smile on their faces #sillydoodles I am over the moon excited with all the positive interest in The Doodle Spot – can’t wait to get started. I had no idea Charleston was so dog friendly. I’ve always been intrigued by the area and look forward to your personal tour. Sharon it is over the top dog friendly – I can’t wait to share some of our dog friendly places along with some of the beauty of the city. How have you been? Thanks Claudette – I can’t wait to share all of Charleston (well as much as I can find) with you. PAWhaps you will hop in the car and decide to visit one of these days! Looking forward to learning more about your town through the Doodles’ eyes. Oh this sounds exciting. I have never been to Charleston and look forward to seeing the city. I’ve heard it’s absolutely beautiful! Thanks Spencer – Hope you enjoy our hidden treasures each month too! I love this idea and can’t wait to see lots of sights around town. Hey, maybe Haley’s twin from down the street will show up one day, lol! I took my camera on a walk the other day Elaine, but there wasn’t a Haley “look-alike” sighting anywhere. I will capture one and post it on FB -#justforyou! Take care! The Doodle Spot sounds wonderful, I look forward to seeing your monthly segment. 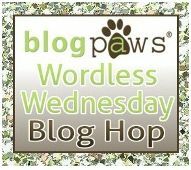 We travel cross country a lot and I’m always looking for dog friendly cities & destinations! Oh Cathy – I hope to entice you to put Charleston on your list of destinations! It’s my happy place! I love Charleston! Haven’t been down there in ages, even though Greenville is only about 3 hours northwest of there. I just don’t like driving as much as I used to. Of course if I win the lottery, I’ll be able to hire a chauffeur to do all my driving for me. LOL. Looking forward to the treasures you share with us!! Brilliant, enjoyable and creative poem there. Have a lovely day. Sounds like fun! We’re working on topic focus for 2016… come on over and help us out please! Great post! Charleston is beautiful and it’ll be great to read about your recommended dog-friendly spots. Dog friendly cities are the best! I just took Leo to visit my dentist today. They have a sandwich board inviting dogs to come in for a free Dentabone! HA! Thanks Pamela, I’m quite the poet after a glass of wine 🙂 No internet? OMDoodle 🙁 Well, paws crossed that you do – and should it not work out, always know that it will be there waiting when you do.